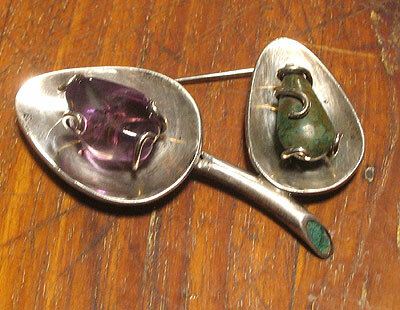 A hunk of amethyst and one of turquoise set into spoon-shaped leaves with a stem tipped with green. Signed by Los Castillo. 2¾" high. Pretty on your blazer.